A Live Action video depicting the story of baby Toby, who was born prematurely at just 24 weeks, has gone viral. As of Wednesday, December 28, Toby’s story has been viewed over 14 million times. Following his birth, Toby was cared for in a neonatal intensive care unit for months. In the viral video, viewers can experience glimpses of the stages of Toby’s journey, from his struggle for survival in the NICU, to his exploring of a playground at 19 months after his birth, to his demonstration of some awesome dance moves at two years of age. But this isn’t the first time Toby has starred in a video. Toby was featured in Live Action’s video What Is Human?, an investigation into America’s late-term abortion industry, originally released in 2013. 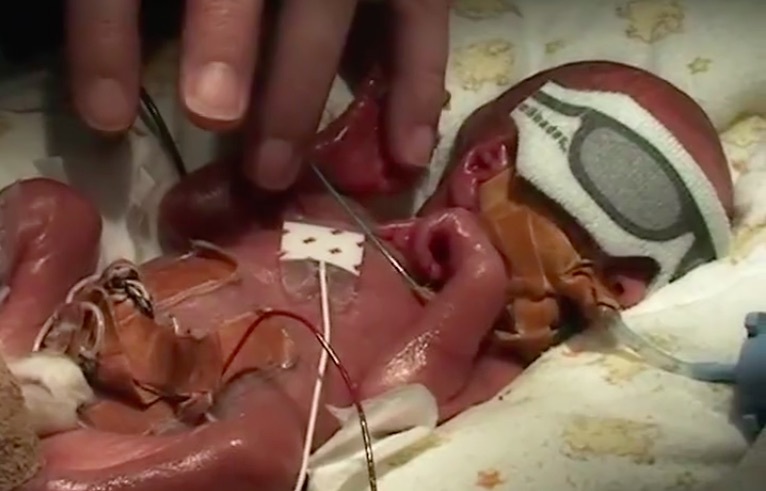 In What Is Human?, abortionists reveal some extremely disturbing perspectives on abortion, including late-term abortions well beyond 24 weeks of pregnancy – the age at which baby Toby was born. The video reveals the chilling admissions of the country’s most notorious late-term abortionists about the procedures they commit on preborn children. Well, in my heart and my mind, you know, life begins when the mother thinks it begins, not when anybody else thinks it begins. For some women, it’s before they conceive; for some women, it’s never. Even after they deliver, it’s still a problem, not a baby. Later in the video, Carhart describes the remains of aborted babies as “putting meat in a Crock-Pot…in a slow cooker,” also laughingly joking that he uses “a pickaxe, a drill bit” to break apart the baby. There are some arguments that are so absurd, so shockingly sick and twisted, so inhuman, that they really don’t even justify a rebuttal. Carhart’s comments represent such a case. If only such universally horrifying perspectives were limited to a few radicals. But it’s not just abortionists Leroy Carhart, Kermit Gosnell, or Warren Hern. It’s big business abortion. Thankfully, baby Toby was not subjected to such an awful fate. Like every baby granted his or her right to life, Toby’s story sheds light on the humanity of children in womb, and why abortion must be abolished.